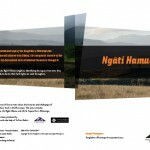 Source: Produced by Rangitāne o Wairarapa with the help of Te Puni Kokiri. Written by: This book is one in a series of four written about the histories and whakapapa of Rangitāne people who have lived in the Wairarapa. 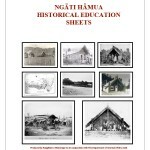 The series includes  Origins,  Tupuna,  Ngāti Hāmua and  Te Tapere Nui o Whatonga. 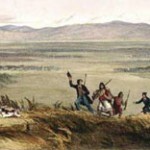 Rangitāne people have lived continuously in the Wairarapa region for 28 generations or some 7-800 years. This book profiles a selection of significant Rangitāne tupuna, some of whom lived hundreds of years ago and others who were alive during the early 20th century. Like all people, those featured had multiple lines of descent. 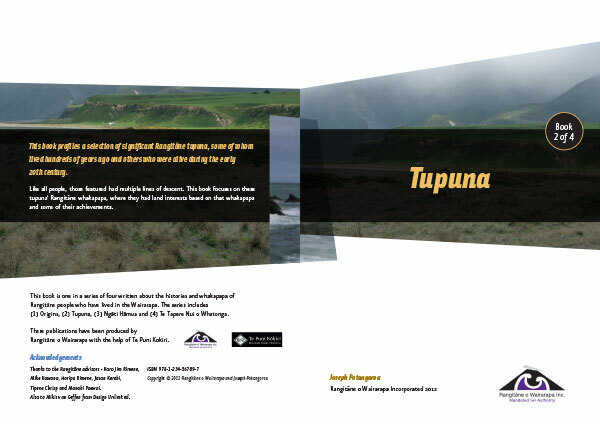 This book focuses on these tupuna’ Rangitāne whakapapa, where they had land interests based on that whakapapa and some of their achievements.